A KCRA 3 investigation has found nearly 70,000 guns have been stolen in the last five years and those guns have been used to commit other crimes. In a months-long investigation with NBC stations across California, KCRA found that this isn’t an isolated case. Many of those stolen guns end up at crime scenes. Just this week, KCRA 3 Investigates found that a gun stolen from Stockton Mayor Anthony Silva was used in at least three crimes, including a murder. On the morning of Feb. 23, 2015, Rashawn Harris, “Ray Ray,” as his family called him, was simply waiting for a bus in the driveway of his home on Sacramento Street in Stockton. Silva didn’t report his gun, a Beretta Px4 semi-automatic pistol, missing until nearly a month after Harris’ death. "It's unfortunate. I mean I've never had anything like that happen before. It's just unbelievable. 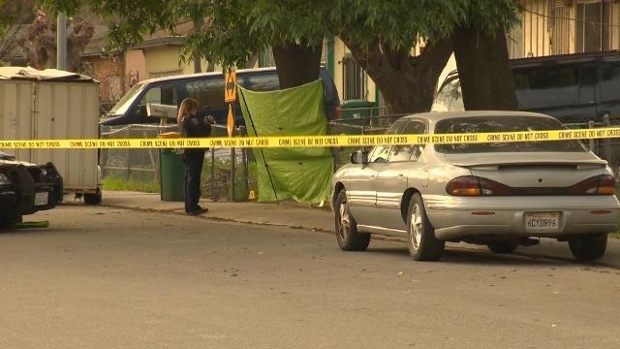 And that's the worst thing any person can think of if someone breaks into their house steals a weapon and uses it on somebody else," Silva told KCRA. Graham Barlowe, the special agent in charge of the Sacramento office of the Bureau of Alcohol, Tobacco, Firearms and Explosives said guns are often the target when people break into homes or businesses. “Cash is extremely valuable because it can get you a number of things. But of the commodities that we find that people that are involved in criminal activity are looking for, guns are very high on the list,” Barlowe said. There’s plenty of evidence of that. At least seven gun stores have been targeted for burglaries in the Sacramento area in just the past few months, including two on July 14 alone. A group of five men crashed an SUV through the front door of a Rocklin gun store and climbed over the crumpled security fencing. In the same night, they hit a Folsom gun store as well. Hours later, the crew was captured by Oakland police.